Welcome to Kids ETHNO camp on 20-25th July 2019! 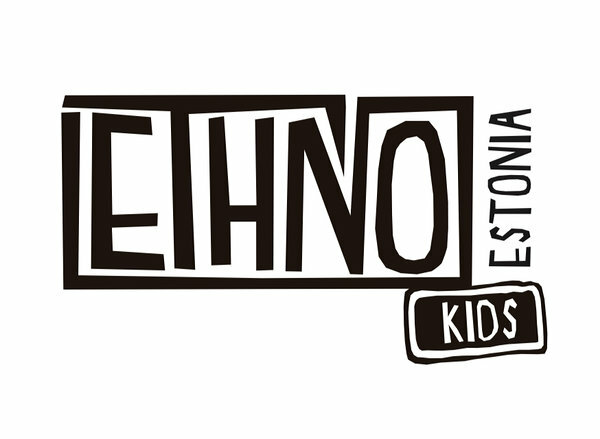 Young music lover, aged 10-16, you are very welcome to Kids ETHNO camp 2019 in Kärstna Manor! 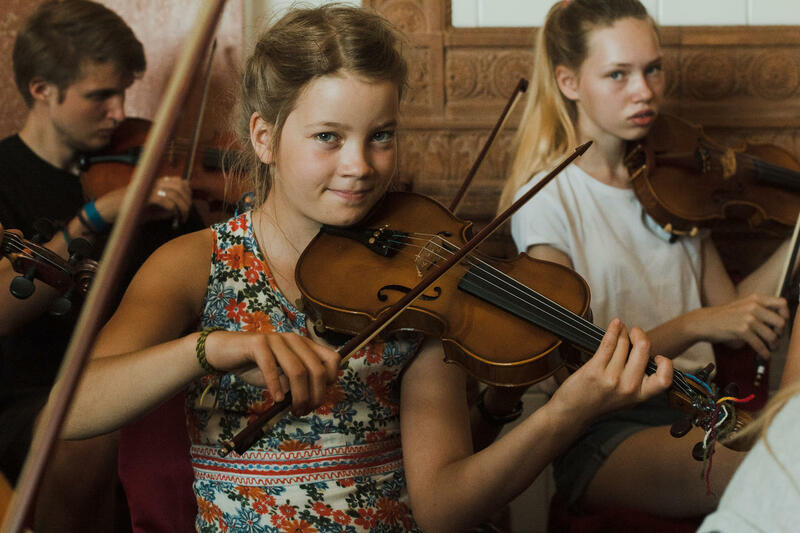 At the camp you can explore the diverse world of Estonian traditional music, which is forever inspiring both for newcomers and old friends. We delve into old songs, dances and tunes, inherited from past generations. There will be collective workshops filled with singing and playing, exciting special guests, dance workshops, bonfire nights, handicrafts and much more. We also go and pay a visit to the big ETHNO camp, play and learn a tune with them and give a concert together at Kõpu laululava. The culmination of our time spent together will be our very own concert at Viljandi Folk Music Festival. NB! At the camp, we learn to play the music by ear. If this is new to you, don’t worry – we’ll help you! With the help of our wonderful artistic leaders, you can also share tunes or songs by teaching them to other children. More information: lasteetno@gmail.com See you at the camp! Lee Taul is a musician who has educated from Viljandi Cultural Academy. She has gathered teaching experience from different exciting camps and Heino Eller Tartu Music College, where she teaches violin at the department of traditional music. She plays in a band Black Bread Gone Mad and has been a member of many groups, like Midrid and tribute project Puzle (tribute to Collage). She has also created music for dance and drama acts in different theatres. Ann Maria is a talented kannel player and a student at Viljandi Culture Academy. She is currently doing an exchange program at Sibelius Academy in Finland. What fascinates her most about her instrument, the kannel, is its simplicity, beautiful sound and mythical origins. Ann Maria loves to write her own tunes. Her original, bright and broad-minded compositions play an important role in the repertoire of Trio Soon/Piho/Lepasson. In addition to 15-stringed kannel, Ann Maria also plays Estonian accordion and loves to dance. Tanel comes from the town of Jõgeva. He studies traditional music at Viljandi Culture Academy and plays mandolin. Why mandolin? Because it’s an instrument full of joy and good spirits! Folk music has interested him since childhood when his accordion teacher Eha Niglas formed a music school folk band “Tuustar” which is still alive, with new pupils of the music school as members today. Tanel has participated in ETHNO camps in Estonia, Sweden and New Zealand. In addition to mandolin, he also likes to play Jew’s harp, guitar and tuba. He is always ready to discover new instruments and sing cool songs. Tanel is in a charming new folk band MandoTrio and also plays with many other talented musicians in different ensembles. Martin is a double bass player from Tallinn who is currently studying interpretation at Estonian Academy of Music and Theatre and taking part in different folk and jazz music projects. Martin’s first encounter with the traditional music was at the ETHNO camp in 2015. Since then, he has been to the camp each summer and started including traditional tunes to his otherwise classical repertoire. He’s been to ETHNO camps in Slovenia and France, and volunteered at ETHNO Estonia in 2017. He was also part of the group who went on an ETHNO tour after the camps of 2015 and 2017. In 2018 he had his first experience as a leader in Kids ETHNO camp. “Traditional music and ETHNO camps are like a breath of fresh air, they give me a lot of strength and ideas on how to approach my instrument in new ways, “ he says. Katariina Tirmaste is a young musician who loves to experiment. She has played flute and violin in many ensembles (Paberits & Tirmaste, Schönbergi kvartett, Nagy Bögö) and has studied and taught both in Estonia and Hungary. Traditional music fascinates her because it allows us to look through the generations and discover similarities in the lives and thoughts of people from different times. She enjoys dancing and singing. Elina is a young violinist from Tartu County who first caught the folk music bug at an ETHNO camp many years ago. The joy and inspiration coming from international projects was what encouraged her to participate at other camps abroad, in Slovenia and Denmark among others . She is currently studying world music at the University of Gothenburg and looking for her own sound through different music styles from around the world. Kärt is a young violinist from Viljandi who is currently studying traditional music at Heino Eller Tartu Music College. She’s been surrounded by folk music since the day she was born, but her first profound experience of the traditional music dates back to the year 2015, when she participated at the ETHNO camp for the first time. After that came other camps, followed by ETHNO tour in 2017 and ETHNO leadership course in 2018. Last year she travelled to Bulgaria in order to learn and get to know the local music. The biggest passion of Kärt is listening and playing the traditional music of different peoples - it’s what brings us all together in the end! Karolin is a musician from Tallinn. She graduated from Georg Ots Tallinn Music College with a degree in music theory and is currently studying traditional music at Estonian Academy of Music and Theatre. The folk music bug caught him at ETHNO camps, she has been to the camps both in Estonia and abroad. In addition to playing, she also likes to put herself to the test with the organizational side of different events. She has done an ETHNO leadership course and been in the teams of different camps and festivals. She likes to break out of her comfort zone and she is open to every possible challenge. After graduating from Viljandi Culture Academy with a degree in traditional music, Margit has been creating the new generation of folk musicians in Rapla County. She has organized different camps, courses and workshops for music friends of all ages. She has led the ETHNO camp since 2009 and the initial awe has now been replaced by assurance and continuing excitement and joy, created by these young and talented musicians who get together every year to build that special ETHNO world. The confirmation of acceptance to the camp will be sent within two weeks of the registration. After receiving the confirmation, please transfer a non-refundable prepayment of 30 € to the bank account of MTÜ Eesti Pärimusmuusika Keskus (NGO Estonian Traditional Music Center). Prepayment guarantees a place at the camp! The remaining 120 € should be transferred to the account of Estonian Traditional Music Center by the 1st of June 2019, at the latest. In the details of the payment, please mark “KIDS ETHNO 2019” and the name of the child.